Bullying - It's just part of being a kid, or is it? It’s no secret that navigating the adolescent years of school can be a rough time for some. Monumental stressors of clothing inequalities, body image, and group demographic serve as the catalyst for physical and emotional abuse by Bullies. As an adult in my 50’s, I reflect on the school days of my youth and remember that the interaction with other students was limited to face to face encounters at school or special events and the limited use of the rotary telephone (if the Party Line was available). Insults, physical rough-housing, and the omission of some unfortunate, and un-deserving individual from engaging in a desired activity seemed to encompass the bullying behavioral pattern. In the last three decades not much has changed in regards to those that choose to attempt to hide their own insecurities by demeaning others. What has changed is the platform by which they broadcast their attack. Today, adolescents have access to a large arsenal of social media which can be used to defame and embarrass others. The term is Cyberbullying and is loosely defined to mean the use of digital technology to humiliate, threaten, or torment another. This type of bullying provides little shelter or escape for the targeted individual, but provides a great deal of advantageous cover for the bully. What can we do about Cyber-Bullying? Proactive approaches towards any problem seem to yield the best results in preventing the spread. In the case of Bullying / Cyberbullying, stepping up and stepping in to intervene has a dramatic impact on reducing further incidents. 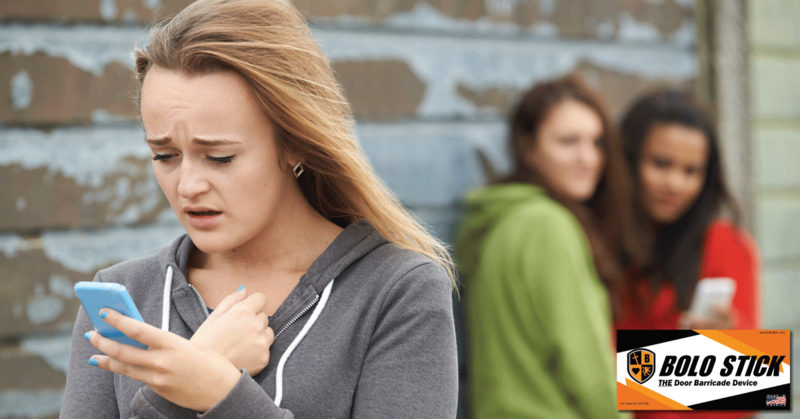 More than half of bullying situations (57%) stop when a peer intervenes on behalf of the student being bullied (Hawkins, Pepler, & Craig, 2001). 4 Indeed, there is safety in numbers. The message to be sent is “Get involved and stand up for others who are unable to stand up for themselves”. Be proactive in all that you do. 3 Vossekuil B., Fein R. A., Reddy M., Borum R., Modzeleski W. (2002). The final report and findings of the safe school initiative: Implications for the prevention of school attacks in the United States. Washington, DC: U.S. Secret Serviceand U.S. Department of Education.